MAREI's Benefits Package is designed to support and grow your business. Do you have a discount you would like to offer to members of MAREI? Please contact Kim at Kim@MAREI.org to discuss adding it to our member benefits package. Ask any real estate investor and they'll tell you that time is money and the more time you have to spend cleaning up a mess - whether it's coordinating others or doing it yourself - directly eats into your bottom line. That's why National REIA has partnered with renowned debris removers 1-800-GOT-JUNK?. They are the full-service professionals when it comes to junk removal. Your membership in National REIA earns you 10% discount on services from 1-800-GOT-JUNK?. Gain access to insurance programs designed exclusively for National REIA members at nreia.arcanainsurancehub.com or by calling (844) 898-8110. BuildZoom helps connect you with the best contractors in the country. Their platform uses your data to objectively match your project with at least three contractors and assists you throughout the process with a project consultant. CallFire.com is the world's greatest telephone applications for business. Send text messages, voice alerts and mobile coupons to keep customers coming back. In just minutes, your business can: Increase your sales, generate new leads and save your valuable time. With your National REIA membership you will receive discounted rates of 3 cents per Voice Broadcast and 2.5 cents for Text Broadcast. Most importantly, ClearVue Bed Bug Traps help your members fight the growing costs and increased legal exposure that can result from bed bug infestations. Results of ClearVue’s trials and testimonials can be found on their website http://bedbugtraps.com/results. ClearVue bed bug traps are available in a starter package of 2 traps ($11.99), a value package of 12 traps ($65.99), and a bulk pack of 100 traps ($499.99). The traps last for several weeks once activated by the user. 10% Discount for Members with our code. We can provide you with a wide range of marketing services from Email to Social Media. Get in touch to find out how we can take your marketing to the next level. Escrow Services takes the pain out of the Seller Financing process by handling payments, reporting, 1098/1099’s and other details. The also ensure compliance for your IRA and process rent collection. Take the pain out of the Seller Financing process by handling payments, reporting, 1098/1099’s and other details. This also ensures compliance for your IRA and process rent collection. Call (800) 654-7870 today to set up your account. Exclusively for National REIA Members - Free Self-Directed IRA for one year! Open a new Equity Trust account and pay NO annual account maintenance fee for one full year. Hammer Zen helps businesses save time & money by keeping track of Home Depot purchases and efficiently importing purchase data right into QuickBooks. Use it to create accurate ‘actual vs. estimates’ and become more competitive without even needing to hire a bookkeeper. NREIA members receive a free 30-day trial and a discount on your monthly payments. Plus, HammerZen, an Intuit Premier Reseller, offers members the lowest prices for QuickBooks software. Download the 2018 Appliance Order Form . To check your registered phone number log into your Pro Xtra account. Kitchen designs with CAD drawings and quotes are typically returned to you from the design team within 48 hours after receiving your measurements and quote request. In addition to the great selection, quality and lead times, you can save 15% on your first order and 10% on all future orders. This can be combined with bulk pricing saving members as much as 20%! Plus don't forget the 2% biannual rebate! Download the DesignConnect Form and complete all information. NOTE: Your Member Number is your Pro Xtra registered phone number. E-mail or fax the completed form to the Design Team at the e-mail address/fax number listed on the form along with any supporting documents such as dimensions, drawings, etc. You may also contact them via the phone number listed with any questions. Additional 10% Discount for your 1st Order. Complete the request for the coupon at the bottom of the page and click send. The coupon WILL be required to receive the additional discount and is a one-time use coupon. Hudson and Marshall's Servicelink is time-tested approach to real estate auctions, innovative technology, and exclusive nationwide inventory provide you with the right tools to find your next property. NREIA members receive access to their VIP sales staff, contracting and closing teams when accessing their online marketplace. Successfully acquire properties to grow your business through Servicelink Auction’s online marketplace. NREIA members receive upgraded access to their VIP sales staff, contracting and closing teams. 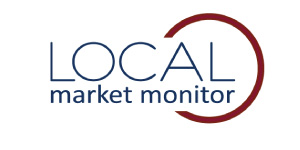 Local Market Monitor helps individual residential real estate investors make sound investing decisions by providing them with the local market risk and opportunity intelligence they need to make better decisions. With Local Market Monitor, investors have access to the forward-looking investment insight used by large home builders, banks and corporations but at a price and in a format accessible to them. Using our proprietary Residential Capitalization rates, Equilibrium Home Prices and predictive market analysis, we equip users with both a long-term and short-term perspective on home prices. Regardless of your investing experience, the size of your investment portfolio or what type of investor you are, Local Market Monitor reports will help you identify opportunities and take advantage of great deals in over 300 market, while giving you peace of mind and confidence in your investment decisions. National REIA members get 25% off when you use the the discount code. Succeeding in business is about smart relationships. That’s why we created the Office Depot National REIA Program, a National program for all Chapters and Affiliates and their members of National REIA. Participating in the program provides you with great savings, award winning customer service, and the ability to shop the way you like (online, by phone, or in-store). Save up to 65% on 1500+ items that businesses purchase most often, including extensive discounts on national brand ink & toner. Save up to 15% off just about everything Office Depot stocks in stores and the Business Solutions Division annual catalog. Ability to Customize your Core Supply List for the products and services you use most. Go to your local REIA to pick up your Store Purchasing Card to use in any Office Depot or Office Max retail store. Our Copy & Print desk will laminate this for you FREE. This card is the only thing you need to receive the discounts in-store. 40% off Finishing Services - including laminating, binding, paper upgrades etc. NREIA members can save 10% off their monthly price. The National Real Estate Investors Association is pleased to announce an exciting new partnership with Realeflow, the largest real estate investing software company in the country. There are many benefits to YOU, the member, including: a Free 30 Day Trial of Leadflow or Realeflow Pro, a discount on normal monthly pricing after the free trial period, and version upgrades with more users, websites, and leads. Contact your local REIA for Affiliate link. myreipro.com/NREIA and use Code 66209PRO for discount pricing. Our standard fee is $35 per applicant. Is your product available nationwide? Yes, it is available nationwide. Our product uses resources in all 50 states and tracks where you applicant has lived. We then extensively search the court for records pursuant to your applicant. What is included in your search? The proper identification of your applicant. Did they misspell or change useful information that would alter our search. Full Credit report (if you qualify) or Sure Decision Product which will help you analyze your applicant fairly and recommend a decision of Approved, Conditional, or Declined. Email notification when investigation is done. Turn around time is 4 to 6 business hours. Our investigators are on Mountain Time. We believe instant results are nice in theory but miss valuable records that could ultimately affect your investments. Does it matter if I have 1 rental or 100 rentals? No, our system has been built for the largest management companies down to the person who just owns one. How can we set up our account to ensure we get REIA pricing? Since our pricing is not available to anyone, you can access our special REIA setup form through the National REIA member login under Industry Partner section. Use the link HERE to receive the discounted registration fee. If we want more information about who should we contact? Come to see why thousands of clients trust Investigative Screening and Consulting. Contact Us Today!